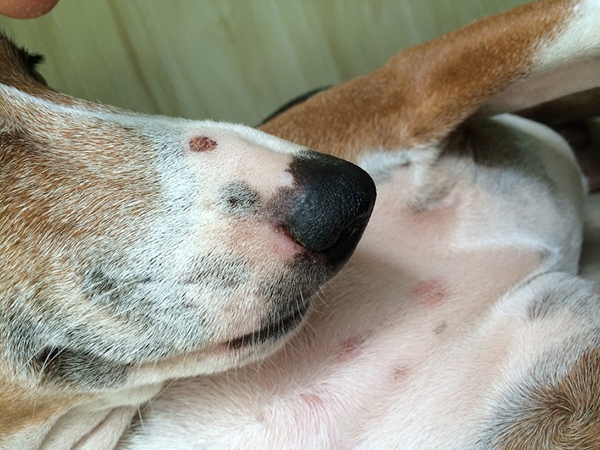 So, you have just heard the diagnosis from your vet–your precious Basenji has Fanconi. What are the implications? 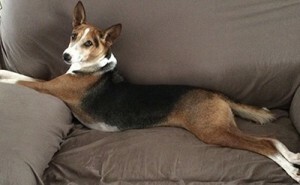 Or maybe you’ve fallen in love with a Basenji on our site who just tested DNA-affected for Fanconi. Will your home be right for him? Can he have a ‘normal’ life? Left unaddressed, symptoms of Fanconi syndrome can be serious. The good news: with proper nutrition, environment and lifestyle, your dog can have a normal life. The following information is drawn from existing literature on Fanconi and canine physiology as well as our experiences with hundreds of Basenjis in our homes. This has included dozens of dogs that have tested DNA-affected or suffer some of Fanconi’s worst symptoms. THIS INFORMATION IS TO BE USED TO SUPPLEMENT INFORMATION FROM YOUR VETERINARIAN; IT IS NOT A REPLACEMENT FOR VETERINARY ADVICE. Share and discuss this information with your vet. The degree to which this information applies will vary with each Fanconi Basenji. We care for the most sensitive cases, saving Basenjis who are failing to thrive on existing protocols and enjoying the opportunities to relax our vigil with those that we find to be less sensitive over time. Fanconi syndrome is a disorder in which defects of the proximal renal tubules of the kidney cause glucose, a sugar, along with electrolytes, other minerals and amino acids, to pass in the urine. 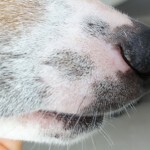 How do Basenjis get Fanconi Syndrome? Fanconi is not contagious like a cold. It is acquired or genetic. Any breed is at risk of acquiring Fanconi by consuming tainted chicken jerky treats from China as well as by consuming certain substances like zinc, which is in our coins. The Basenji breed has a recessive genetic mutation that causes the defects of the tubules. 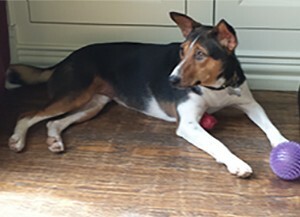 A male and female Basenji pair may both never show Fanconi syndrome, but they may both pass the genetic defect to their offspring, causing offspring to have Fanconi syndrome. No, there is not. Management of your Basenji’s nutrition, environment and lifestyle can control symptoms—and even help delay their onset. 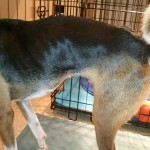 We’ve had many Basenjis that received grim prognoses who are now doing well. For example, see Tebow’s story at the bottom of this page. 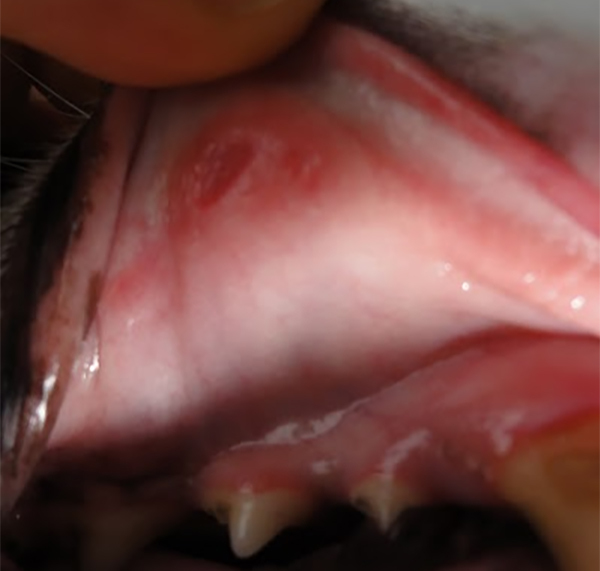 As a puppy, and hopefully for many years, there are no noticeable symptoms. Initial symptoms often noted are excessive urination (polyuria) and excessive thirst (polydipsia). 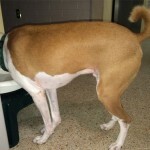 Vigilant owners can regularly test their dog’s urine for glucose to catch the earliest signals. 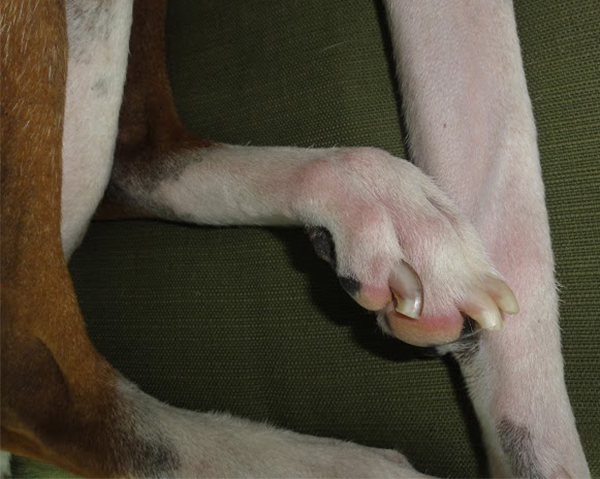 Fanconi Basenjis also may be more likely to have urinary tract infections (UTIs). Left unmanaged, more symptoms will surface, including reduced appetite, weight loss, poor body condition (muscle loss) and lethargy. Eventually, your Basenji will die from Fanconi, or more quickly from other disease, if symptoms remain unaddressed. The only test that can identify Fanconi syndrome prior to symptoms is a DNA test available from the Orthopedic Foundation for Animals (click here to order tests from OFA). Urine glucose test strips can determine when the disorder progresses. A diagnosis of Fanconi syndrome is concluded when a test strip indicates glucose in the urine but blood glucose is normal. A more complete urinalysis may show a loss of protein and other materials as well, though the diagnosis still depends on the loss of glucose. We have not identified any other test that is a good indicator of Fanconi status. How do I treat my Fanconi dog? Fanconi dogs are managed, not treated. Management begins with assessing your Basenji’s condition, then reducing stress and supplementing his diet as necessary. Refer to our information on stress for details on stress management. Supplements include vitamins, minerals and amino acids to replace what is excreted in urine. Consult with your vet for details. Make sure water is ALWAYS available. 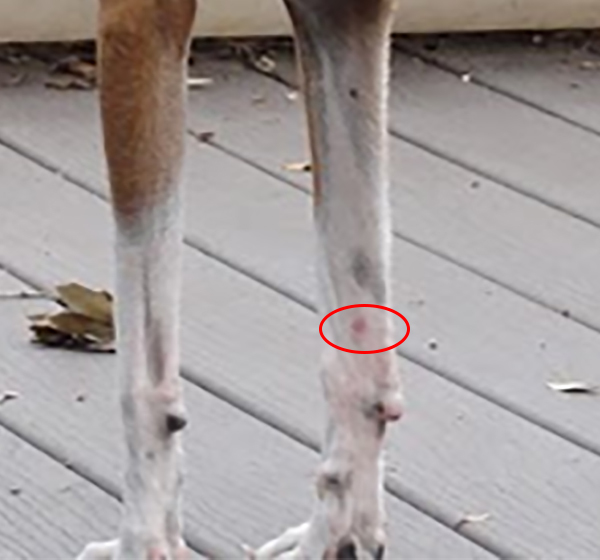 Blood tests are helpful and necessary to check progression of the disease, but it is extremely important to recognize that blood chemistry values can change very quickly in a Fanconi Basenji. The stress of a vet visit and blood draw will also impact results—significantly for some sensitive Bs. 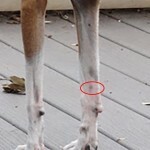 So it is important to observe your dog’s condition and behavior every day and see your vet promptly when you see changes; do NOT wait for a scheduled recheck. 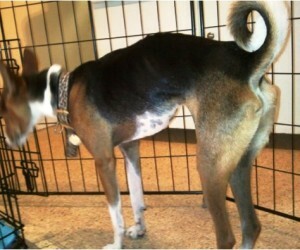 My Basenji is DNA affected. What should I do now? 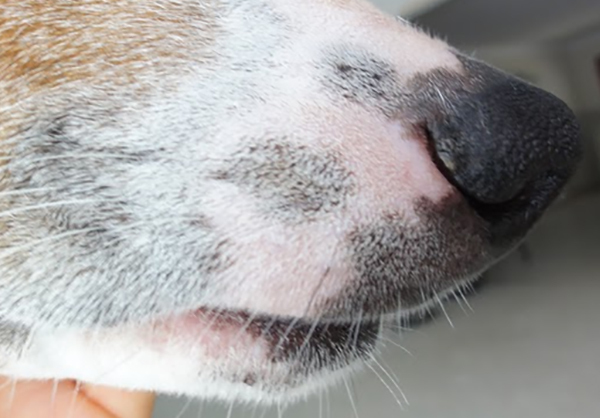 Have your vet do a full exam including a complete baseline set of tests as soon as you know that your Basenji is DNA affected—a CBC, differentials and chemistries as well as a urinalysis. If possible, have a venous blood gas test done. 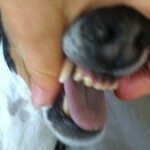 But remember: if your Basenji is stressed by visiting the vet, test results may not indicate his usual daily condition. Working with your vet, immediately resolve any other health or behavior issues that your Basenji has. Note that behavioral issues may be an indicator of a health condition or stress. 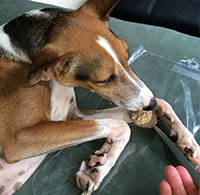 What food and supplements do Camp Basenji residents get? A high quality canned or frozen raw food—red meat. Home cooked liver is an option. Roughly one total pound spread over a week, every week. Potassium—but use cautiously as indicated by blood tests. Too much or too little can have life-threatening consequences. What observations indicate there is a problem? What might lead to increased symptoms? What can I do to address or avoid problems? Immediately and proactively address other health conditions. Limit time in heat/sunshine to potty breaks during the day—just minutes. If inside temperatures are hot, take action to cool things down. For example, add insulation, switch your roof to a white color or install additional air conditioning in the area where your Basenji spends most of his time. NEVER allow your Fanconi Basenji to sleep under the covers with you. Leave soothing music or calm, happy television shows on to create a calming ‘white noise’. Get a second dog so that your Fanconi Basenji is never alone. Teach children to respect a dog’s personal space. Teach them to be calm when coming and going around a Fanconi dog. Replace carpeting with a solid surface floor like wood, ceramic tile or vinyl. Run dehumidifiers to humidity levels below 50%. 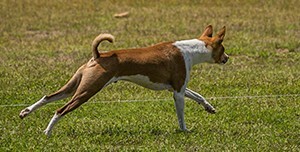 Exercise during cooler hours, wetting down your Fanconi Basenji regularly if he has to be out when it is hot. My Basenji is already very sick. Might he get better? Fanconi Basenjis generally are more sensitive than a Basenji unaffected or unafflicted by Fanconi syndrome. The potential of his recovery will depend on many factors. We have had Basenjis turned over to us that, once scheduled to be euthanized, made complete recoveries. Some are now healthier with their condition under management than they were before ever showing Fanconi symptoms! Be sure that non-Fanconi issues are addressed PROMPTLY. If in doubt, go see your vet before symptoms get worse. Check with local Basenji owners to find a vet that has SUCCESSFUL experience with Fanconi Basenjis (that your dog will also hopefully like). Trips to the ER are generally more stressful for everyone, so don’t delay exams or treatment. Stress reduction is critical and may be the key to success. Make sure that your Basenji is not overheated. If he needs rehydrating, make sure that your vet understands that he may be acidotic. 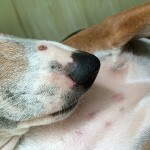 Be prepared to have bloodwork done so that your vet will know how to treat your Basenji. Information is power. Knowing what to watch for and acting promptly will help ensure a long and happy life with your Fanconi Basenji. There are Basenjis that have started spilling glucose at the tender age of two, yet lived 15 years. Others didn’t show symptoms until the mature age of 9.5 years and are still going strong a few years later with no significant ill effects. The following life stories are illustrative of the success that can result from your diligent care of your Fanconi Basenji. At four months old, Tebow was adopted from the SPCA by a young family. They saw a cute, young pup, but had a lot to learn about Basenjis. Their two boys were active, perhaps even a bit of a challenge. A business and the boys kept the parents busy. They took their adorable pup to the vet regularly, but the vet was not a good match for this pup. Tebow required muzzling at the tender young age of ten months, too fearful to easily cooperate. Tebow was always a tall, lean boy, but too lean to be healthy. Apparently, his owners didn’t recognize this problem. He was a finicky eater, but they figured that was just Tebow. Years passed. The boys grew, as did the business, all requiring more time and attention from Tebow’s owners. Tebow—or “T” as we affectionately call him—grew more finicky and sensitive, staying very lean. Finally, his owners noted that he was drinking and urinating more. A trip to the vet resulted in a diagnosis of Fanconi syndrome. Per his vetting notes, his owners were told that he would continue to “drink excessively, urinate excessively, lose weight and die. NO CURE.” No hope. They tried to improve his health on the usual protocol, but it wasn’t working. Stress caused by a move from a house to an apartment made matters worse. T started to deteriorate rapidly, eating less and less. Finally, his owners decided that it was time to stop his suffering and scheduled euthanasia. Coincidentally, T’s owners learned of Camp Basenji. The day once scheduled to be Tebow’s last became his first day of his new life as ‘T, the Fanconi B’. 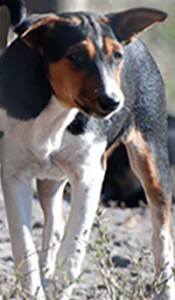 The owners brought T to Camp Basenji in a last ditch effort to save him. 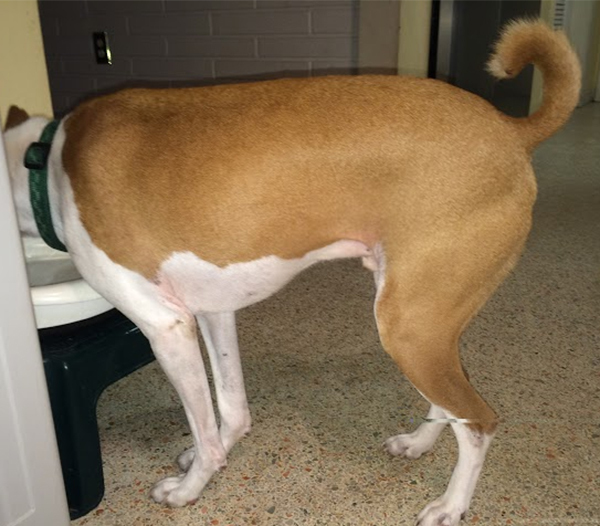 Unsocialized with other dogs or strange humans, painfully thin, so weak and in so much discomfort that stepping through a doggy door was a challenge, five-and-a-half year old T began his journey of recovery. T’s history of anorexia had started when he was young. Learning to eat while trusting strangers was his first priority. It was a slow process. We began by wiping food on his legs to encourage him to eat. Surrounded by a pack of Basenjis accustomed to helping newbies, T learned to socialize with other dogs as he gained weight and strength. The other dogs also helped T quickly learn Camp Basenji’s consistent routines. His stress dropped. 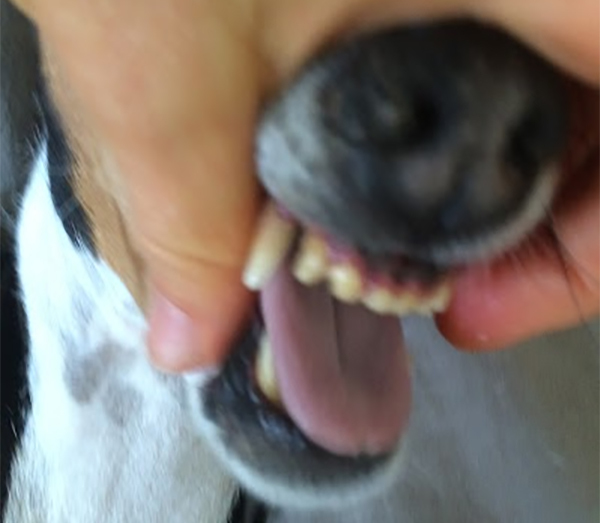 He began eating more and more like a ‘normal’ dog. Over the course of that first year, T turned around. Two and a half years later, and T is going strong. 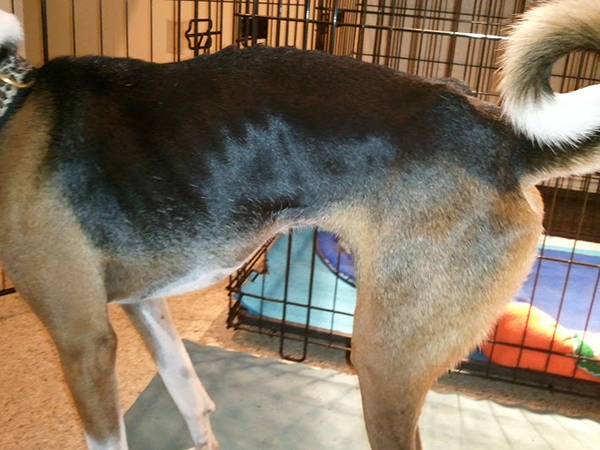 He is now a robust 32.8 pounds, up from an emaciated 23.3 pounds when he arrived at Camp Basenji. He eats kibble with the rest of the pack. His daily water consumption has plunged from an excessive 2 gallons to roughly a half gallon. Once requiring outside access to relieve himself at least every two hours, he can now hold it for 8 or 9 hours. In the mornings, T now requires encouragement to go outside for his morning potty—“I want to sleep! I don’t need to go yet!” And the clever boy has learned that even though there is a doggy door available, he should not spend time outside in the heat. T’s life now? T plays. He piles up with his pals. He loves all of the people that come ‘just to visit him’. Life is good. Nadra, a once-feral puppy rescued in 2010, was DNA-tested as soon as she was adopted by her forever family. The test reported Nadra ‘affected’ for Fanconi. Since testing positive, or affected, she has undergone regular vetting and appropriate testing to keep an eye on important indicators of overall health and Fanconi status. She has been on a very simple regimen of supplements that are adjusted based on test results. This year, at an estimated age of 6, Nadra’s owners observed sudden changes in her behavior—a spike in water consumption, potty ‘accidents’, lethargy, and conflict with another member of her pack. They also noted the changes came in the wake of a probable rise in Nadra’s stress levels stemming from the presence of a short-term foster, a spate of unfamiliar, ‘scary’ human visitors, and an extended period of severe thunder storms and continually wet weather that made for uncomfortable potty conditions and variable temperatures. Strip testing confirmed Nadra was spilling glucose in her urine: Fanconi at work. 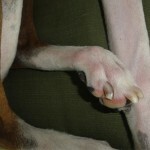 Working closely with Camp Basenji, the owners took immediate action. First, comprehensive blood and urinalysis testing enabled targeted expansion and enhancements to Nadra’s nutritional regimen. The urinalysis confirmed a urinary tract infection, indicating the need for antibiotics. Second, owners took aggressive, immediate steps to reduce Nadra’s stress, including rehoming the foster and suspending visits from family and friends. Fortunately, the weather also improved! In a very short time after these adjustments, Nadra began to recover, and after just a few weeks of proper supplementation and stress management, Nadra is again her old self. Her energy levels are up and pack conflict has abated, for example. Her incontinence has subsided, and water consumption has returned to normal levels. And she is once again up to her typical, delightful mischief as her pack’s ‘chief instigator’.